58’s are tricky because of the neck angle but the chances of getting a great guitar a pretty good. Two of my top five are 58’s. I keep a mental top ten list of the best ES guitars to pass through my hands and, while the list is pretty diverse, there are some factors that are becoming meaningful. As I get to play more and more of them, I re-evaluate the things that make some of them simply good, others great and a few simply extraordinary. It’s interesting that the current top ten (or maybe top 12) includes guitars from 58, 59, 60, 62 and 64. I try to keep personal preference out of the equation-like the fact that I like guitars with necks that start medium and get really big by the 12th fret. I’m really talking about tone. And that’s personal preference too, I suppose, but we all like a guitar that has great sustain and that singing almost vocal quality that some 3×5’s have and some don’t. Some of that is setup but some of it is simply the wood, the strings and the electronics and the relationship between them. 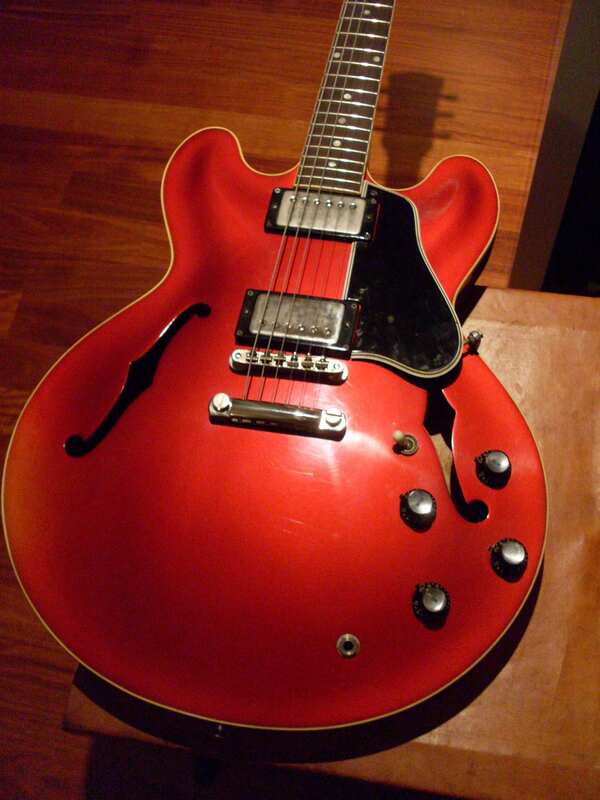 I can’t totally explain why this 335 sounds better than that one but there are some common denominators that I can quantify and only because I’ve played (and set up) so many. Common denominators: All are 58-64 which doesn’t tell you much. All are stop tails. All have PAFs or early patents. Nearly all were re-fretted at some point. But there have been dozens and dozens that fit that description so there must be something more to these standouts. Four of the top ten have thin tops. If you aren’t a regular reader, you should be aware that all 58’s and some 59’s have a three ply top that is 25% thinner than the four ply tops that were used from 59 on. Of course, that means that 6 of the top ten had the thicker tops. But wait. There’s more. If we go to the top five, three of the top five have the thinner tops which tells us something. The top five are as follows–#1 late 58 335, #2 thin top 59 335, #3 refinished 62 dot neck, #4 59 first rack 345 and #5 unbound 58 335. 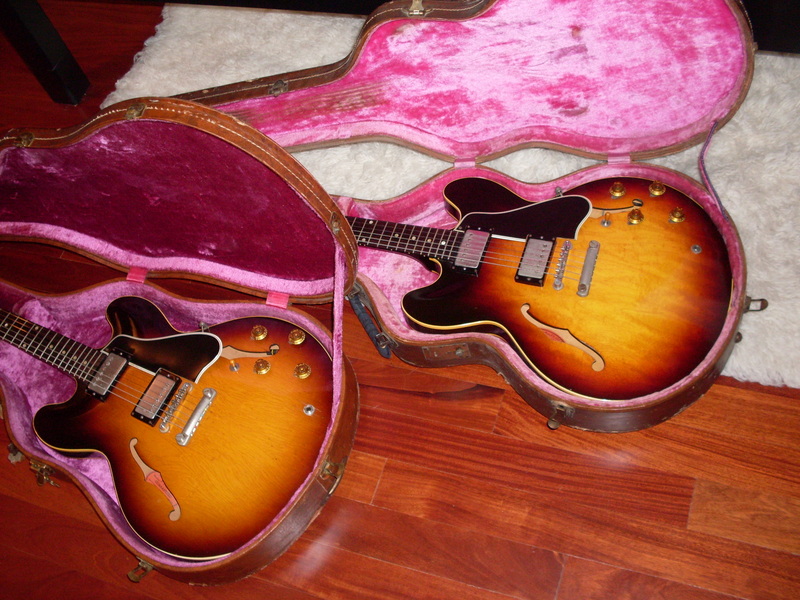 So, I’m going out on a limb and saying the thin top early 335’s seem to have an edge when it comes to great tone. Looking at the next five on the hit list #6 is a first rack 59 345, #7 is a 59 355 stop tail, #8 is a 64 335, #9 is a 59 335 and #10 is an early 60 335. This is out of perhaps 500-600 that I’ve owned. There are perhaps another 75 that I would call contenders-an extraordinary one isn’t that much better than a great one. 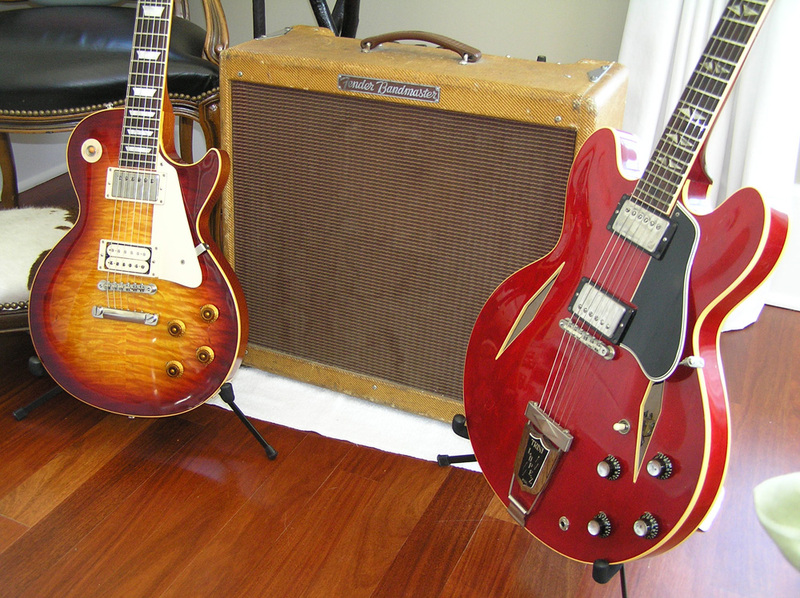 Most 58-64 3×5’s are simply excellent guitars. We’re talking microns here. This list is rather fluid and I’m always replacing one with another as I play more of them. It is tricky to compare a guitar I have today to one I had five years ago (or more) but I consider the top ten to be kind of interchangeable. I’m sure that if I had all of them in a room, I would put them in a different order but they would all still be great. What would be really useful is if I could predict which ones would be the standouts before I even picked them up and played them. It would be nice to be able to tell folks to look for a particular factory order number or group of features that make for great tone but, alas, no such information exists. I’ve had 59 dot necks that are uninspiring. I’ve had trap tail 65’s that would give any of the top ten a good run for their money. 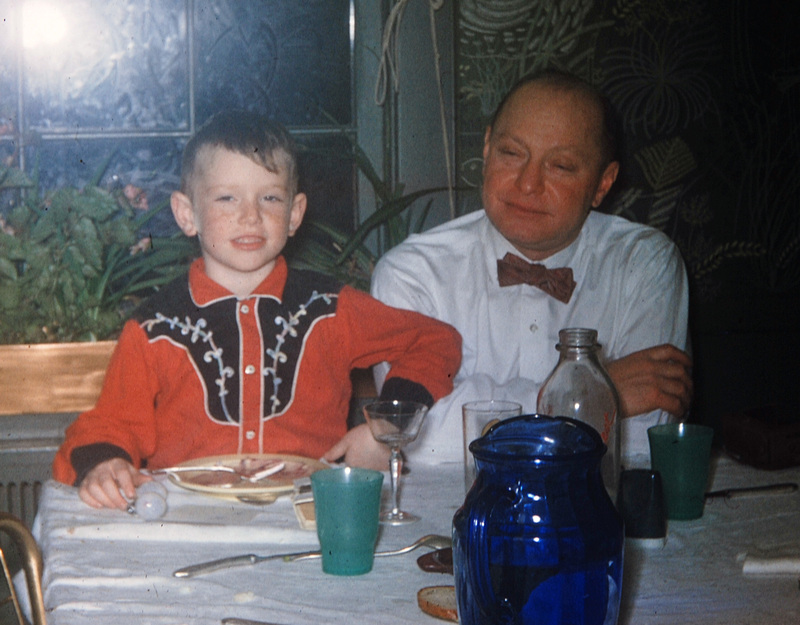 There are a lot of variables and too many aren’t easily quantified. There are a few consistencies that have occurred to me, however. First rack ES-345’s are generally excellent. What’s a first rack? Read this. It’s actually three racks but they all share certain characteristics and these characteristics seem to translate to great tone. 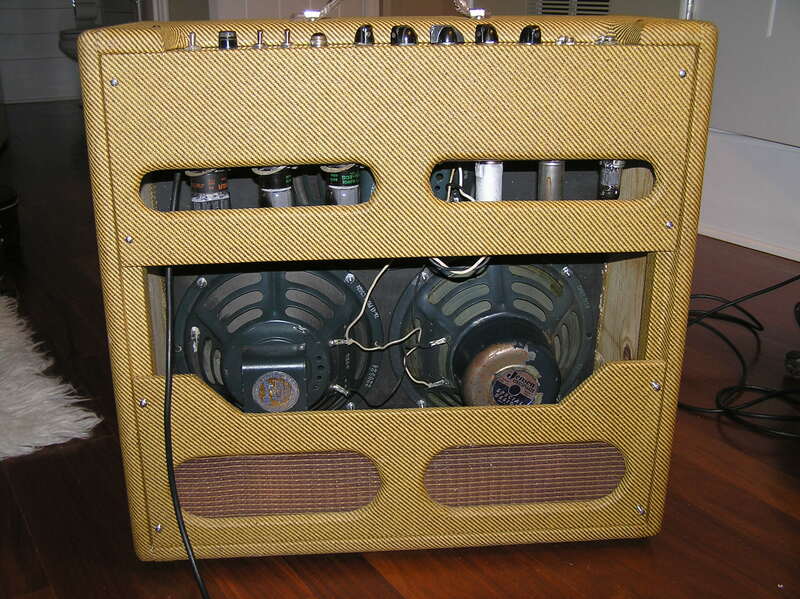 Late 58’s and early 59’s are also fertile ground for great tone-again, the thin top is a possible factor. The shallow but not too shallow neck angle could also be in play here. The big neck? Maybe but there’s a 62 in the top 5 that had a skinny neck (and a refinish). Here’s another factor that throws a monkey wrench into the mix: On a given day, a particular guitar can sound great and on another day, it doesn’t sound so great. Humidity is a big factor and probably the state of my playing ability is another. So, what can you take away from this? Well, mostly that you should play a guitar before you buy it. Just buying a 59 dot neck that you like the looks of will probably get you a great guitar but it may not be an extraordinary one. Buying a beat up refinished 62 could get you one of the best players you ever had. But you can’t know for sure until it’s properly set up and you sit down and play it.